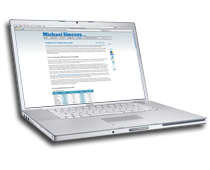 (Miami, FL) Hi, I’m Michael Sincere, best-selling author, MarketWatch/Wall Street Journal columnist, and freelance writer. Welcome to my website and thanks for stopping by. What is a weekly trader? Each week, I analyze the market, making trades when the odds are on my side. 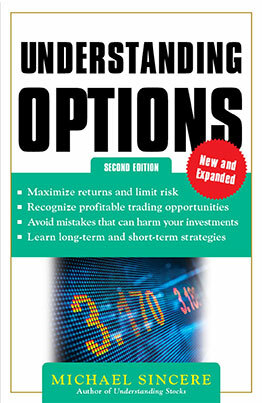 If the odds are not on my side, I do not trade. Typically, I am out of most of my positions quickly. It means I patiently wait for the right opportunity before entering the market. Weekly trading means being patient but also agile until the time is right. I might wait a few days before I pounce. I also believe in using less money to make more money (one of the reasons I trade options). Like others, I have made every possible investment and trading mistake, and survived, which helped make me a better trader. One of my goals is to help you avoid making the same mistakes that I did. One of the ways I reduce risk is by creating a weekly trading plan. 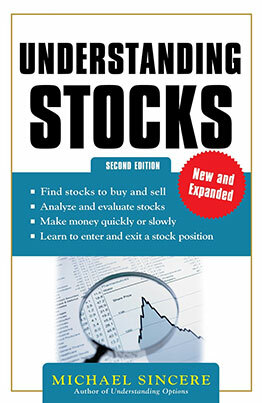 As you will see if you read my books, I tried hard to make my investing and trading books entertaining and educational. Based on feedback I get from readers, I am constantly making improvements to my books. It’s because of the questions and suggestions I get from readers that helped make my books best sellers. Email me if you have comments about any of my books or articles, and thanks again for visiting. Bearish: Less than or near .50 is bearish (more call options are being bought). Moving Averages (daily): S&P 500 (and Dow) is above its 50-day moving average, and above its 100-day and 200-day MA. Bearish: Index crosses below 50-, 100-, or 200-day MA. Bullish: Index crosses over 50-day, 100-day, and 200-day MA. Overbought: When RSI rises to 70 or above. Oversold: When RSI falls to 30 or below. Analysis: Sentiment among retail investors and financial writers is bullish, especially for those in the financial press (which is a negative sign). Other sentiment readings are also reflecting complacency among investors, and a belief that there is little risk in the financial markets. That is about to change soon, in my opinion. MACD turned down a little as did moving averages. The big news this week was the 5% spike in the yield on the 10-year Treasury on Friday. Oh boy. Opinion: That spike in the 10-year was very significant, and the financial world is going to change soon as the yield climbs towards 3%. When that happens (not if), bonds are going to get crushed, and there will be blood in the streets for investors holding bond mutual funds. The market always gives you one opportunity to get out of dangerous positions, and that opportunity is closing fast. When (not if) bonds get smashed, it’s anyone’s guess what will happen to the equity markets. 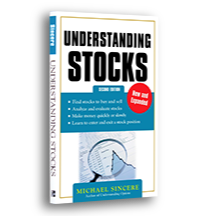 There are two theories: The first is that after opening their monthly statements, bondholders will run to the relative safety of stocks. The second theory is that stocks will plunge along with bonds. I’m not smart enough to tell you which scenario will occur, but it is going to be very interesting. Hint: I believe that emerging markets will also plunge along with bonds. Investors believe the Fed has them covered and that there is little risk in stocks right now. In fact, it’s as if the market is giving away free money. To paraphrase G.M. Loeb in his classic 1935 book on investments: When Wall Street is giving away free money, it’s time to sell and move to cash. That also reminds me of what Jesse Livermore said. To paraphrase: When the market is not acting like it should, change your strategy immediately. In my opinion, something very strange is happening in the market, and I can’t quite figure it out. I’m not sure what is going to happen, perhaps we’ll get to 1800 on the S&P in no time, but for the moment, I’m sitting this one out until things are a bit clearer. Bottom line: Just when it seemed like the market isn’t dangerous, it is getting dangerous, but only a few see it right now. As for me, I question whether that 5 percent potential upside is worth the risk. I’m in the minority, however, as almost everyone else has their party hats on. 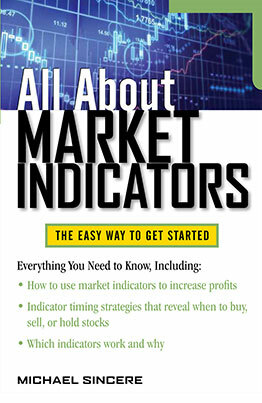 A full list of the major indicators with signals can be found in my book, All About Market Indicators(McGraw-Hill).) 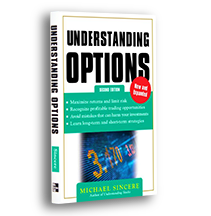 I’m also the author of the best-selling Understanding Options (McGraw-Hill), Understanding Stocks(McGraw-Hill), and Start Day Trading Now (Adams Media). Sell signal: Less than or near .50 is a sell (more call options are being bought). Buy signal: Index crosses over 50-day, 100-day, and 200-day MA. Buy signal: MACD line crosses above 9-day signal line. MACD line crosses above zero line. Overbought signal: When RSI rises to 70 or above, it is possible S&P will reverse direction and fall. Oversold signal: When RSI falls to 30 or below, it is possible S&P will reverse direction and rise. Analysis: Sentiment readings are on the frothy side (which is a negative sign), with newsletter writers in the super bullish camp. They obviously believe the Fed will continue to add liquidity to the markets with their bond buying experiment. Technical indicators are all bullish. The yield on the 10-year surged, which is not a good sign for bonds. There’s a rush out of bonds as we speak, and a rush into stocks. Opinion: After staying on the sidelines for years, the retail investor, along with financial newsletter writers, discovered the bull market. As bond mutual funds lose money to rising interest rates, investors are pouring money into stock mutual funds. Inflows are at their highest in years. As mentioned above, sentiment indicators are sky high, and some analysts say the bullishness is thehighest since 2008 (right before the crash). I’m amazed that it’s happening again, that is, panic buying. Remember that sentiment indicators can remain high for a long time. But it is a red flag, and there are many red flags. An orange flag: We haven’t had a 10 percent correction in two years. Wait! Maybe it’s different this time, and because of the Fed, the market will never go down again! (Okay, I’m joking). Here’s the way I see it: On one hand, this market could go parabolic as all that mutual fund money is put to work into the stock market. On the other hand, this market is also reaching a dangerous tipping point. Unfortunately, I can’t tell you which is going to happen first but since the market will be aTwitter next week (i.e. Twitter goes public), I assume we’re going higher. And the indicators are all pointing up. And yet, remember to buy when others are afraid and sell when others are greedy (Warren Buffett’s words). Therefore, instead of getting caught up with the mania, if you want to reduce risk, you might want to slowly scale out of positions. Nevertheless, if you do, you could miss out on a final climatic rally that could be amazing. No one, and I mean no one, believes the Fed will taper in December, so it should be blue sky as far as the eye can see. That is, unless interest rates spike, emerging markets implode, and if someone on the Fed tries to deflate the bubbly market by talking it down. Bottom line: The market will likely go up but the risks increase each week. A market correction would not be a surprise, but you may have to wait a while. Note: 3% or higher is significant (consider selling bond funds as yield rises). 3.5% or higher and risk increases (for bondholders). Analysis: Sentiment indicators are high but not extreme. In particular, financial newsletter writers (II) are bullish, which reflects the overall bullishness on Wall Street. Technical indicators are clearly on the bullish side, and if you follow the indicators, we’re going higher. RSI is still on the high side (overbought) but not at extreme levels yet. Yields went down last week, so bonds rallied. Opinion: Since we follow the indicators, we’re cautiously on the long side. Cautiously means that we’re diversified in cash (but not bonds) and index ETFs. If you look up, all you can see is blue sky, which is where the market is headed. With the Fed unwilling to cut back on QE, and little else on the agenda except earnings, stocks should continue its upward climb. Many on Wall Street are not in the 1700 Club, but in the 1800 Club (they believe the S&P will hit 1800 before the end of the year). According to many, there is no stopping this market. If they’re right, be prepared for a shock and awe rally right into the end of the year. So far, the bulls have been right (except for a two-week setback). In my opinion, the market is likely to go higher in the short-term. And yet, there are many potential red flags, so you must be careful. The potential dangers I see in the future are problems in emerging markets (especially China), a falling bond market, poor earnings, or a mistake by the Fed (too much liquidity, for example). Any of these events could hinder the bull market. Here’s what else I see: I know that a bear market is out there waiting to surprise us. I don’t know when it will happen, but in the meantime, I will follow the advice of Jesse Livermore, who says that the hardest thing for traders to do is sit and wait. Although I am long some of the major indexes, I am looking for clues that the bull market is over. Although there is still money to be made on the long side, don’t get greedy. When this market turns, it will be vicious. One day you’ll wake up to a huge selloff, but hopefully you’ll get out without major losses. In addition, if you are suspicious of this market and want to go short, be patient. 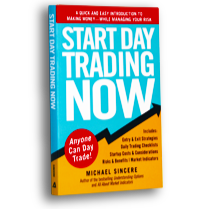 The biggest mistake anyone can make now is making unnecessary trades. Bottom line: Sit and wait. RSI: RSI is currently at 65.89. Analysis: Sentiment indicators are on the high side but not extreme except for the put/call ratio. For the first time in months, the retail investor is more bullish than financial writers. Technical indicators are clearly on the bullish side, so according to MACD and MA, we’re going higher in the short term. The September jobs report is on Tuesday, which could be a market moving event. Opinion: Now that the shutdown and debt crisis are over, buyers stepped in from the sidelines. Volume slowly increased throughout the week on increased demand, a bullish signal. With Yellen about to take over the ship, QE will continue indefinitely, no matter how often they threaten the markets with tapering. No time is a good time to taper as it will cause a major market dislocation, and the Fed doesn’t want that. Therefore, in the short term, the bulls are in control. As I mentioned above, there is a jobs report on Tuesday, so any surprises could light up the market, or cause a one-day pullback. 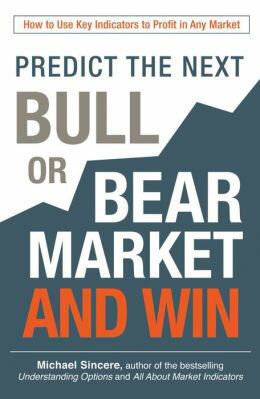 Judging by the bullish sentiment, the odds are we’re going higher. Also, it’s earnings season, but negative releases (such as IBM’s) will be ignored if the market is bullish. What could derail the bull party? Although in the short-term everything looks peachy, there are many danger signs. First, we’re watching the 10-year yield every week. The higher it goes, the lower bond prices go, which could also disrupt the stock market. When the yield hits 3 percent (and it will one day), it will be a battle between the Fed and the bond market. The higher the market goes while backed by the Fed’s easy money policies, the greater the chance a bubble is forming. I write about this possibility in my latest MarketWatch article, which should be published this week. If the sentiment readings go through the roof, and RSI (an indicator I’ve added to the list) surpasses 70, the market will be overbought and in the danger zone. Also, the recent parabolic chart pattern on the S&P can’t go on indefinitely. In my opinion, although we appear to be going higher in the immediate future, there are many risks: Emerging markets, the bond market, increased investor enthusiasm, and the Fed overplaying its QE hand. You put it all together and I don’t see blue sky forever. 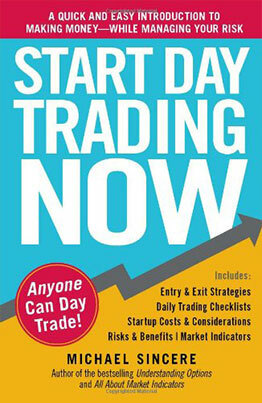 Bottom line: If you’re a short-term trader, you can play upside momentum, but use stop losses andtake profits quickly. Investors can hold long positions as this market could rally higher than anyone believes, and yet, you must be on guard. Hopefully, you are diversified with a healthy amount of cash. This is not the kind of market where you want to be 100 percent invested (my opinion only). In the future (it could be months), it would not be surprising to wake up one morning to see themarkets plunging. Everyone believes they can get out in time if the markets reverse, but that door will close fast. Finally, although the markets are destined to go higher this week, if there is a mid-week selloff, that would be a significant bear signal. 45.4 % Bullish. 20.6% Bearish. Moving Averages (daily): S&P 500 (and Dow) is above its 50-day moving average, and above the 100-day and 200-day MA. Note: S&P and Dow still not out of the danger zone because of outside political events. Analysis: Early in the week, the market was below its moving averages and headed lower, the VIX (fear index) shot up to 20, and MACD gave a sell signal. Everything changed on Thursday and Friday when the market reversed direction. 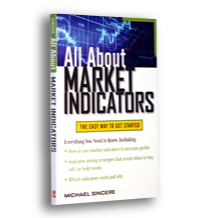 Because of the political games, the indicators are not as useful, which is where we’re at now. What happens in Washington will trump the indicators. Caution advised. Opinion: The market did not disappoint last week. It was leaning bearish for the first three days and then, POW! It lit up like a Christmas tree, aggressively taking back 15,000. And here we go again: We’re leaning bearish. In fact, it feels like deja vu all over again. Judging by the market’s behavior, there will not be a government default. If the market thought so, we would be down 10 or 15 percent, not 1 percent. Nevertheless, this is still a dangerous sideways market, and anything is possible. Even with a bearish open, logic suggests there should be another relief rally (after they really, really avoid a default). Here’s what I think: I have no idea what is going to happen. The indicators are slightly bullish thanks to the monster rally. But the feuding politicans could change that scenario. I also remember an old Wall Street saying, “Buy on the rumor, sell on the news.” When the games are over, I wonder how the market will react. In a sideways market, it could go either way. Savvy market participants aren’t making any dramatic moves, which is reflected in the low volume. Even on Thursday and Friday, volume was quite low on the major market indexes. Although it’s possible to make money in this market, it is difficult. Long-term investors have closed their eyes, thrilled that the Dow went back above 15,000 again. Traders are looking for short-term opportunities, and they’re still looking. In a market like this, your number one goal is not to lose money (actually, that’s always your goal). This is the time to evaluate your positions, consider taking small losses now, use hedging strategies, and above all: Don’t make any impulsive trades. Since no one can predict the market’s next move, ignore the noise, and there’s a lot of it. There is so much conflicting advice it’s too early to say who will win the week. If you’re long this market, use stop losses to protect your downside. If you’re short this market, you have to be even more careful. Jim Chanos, a top professional short seller, says that this has been the toughest market environment for shorting in 29 years. As you learned on Thursday, he’s right. You can try and short this market, but in the future, there will be better opportunities. Unless you’re experienced at shorting, you might want to wait a little longer. The hardest thing to do right now is to sit and wait, but that is exactly what you should do. It’s easy to find yourself on the wrong side of a trade in this environment. When the games are over in Washington (or delayed), perhaps the volatility will decrease. Meanwhile, let’s be careful out there. Note: The bond market is closed on Monday. Keep your eye on the 10-year yield, which is climbing out of the basement. Bonds rallied after Ben made his no tapering announcement. But lately, bonds are selling off again. When the yield hits 3 percent one day, there will be ramifications for the bond and stock market (unknown at this time, but it won’t be pretty).